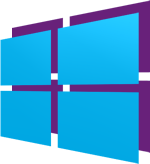 We are happy to announce the official support to Windows 8 and Windows Phone 8 starting from version 1.4 of the C# API we published today. The new API allows to build native applications and games for the two operating system (including Metro-style under Windows 8) and can also be used in Unity to publish 3D games targeted at those platforms. Get the new API on this page and the examples package here. And speaking of updates, we also release a couple of minor versions of the HTML5 API and Objective-C API, available on the same page linked above. And inside the SFS2X doc site a vastly improved Java client API javadoc is now available. This entry was posted in News, Releases and tagged sfs2x, win8 api, wp8 api on September 20, 2013 by SmartFoxServer Team. New SmartFoxServer 2X Update (2.4.0) available! A new update is available for SmartFoxServer 2X. It provides several fixes related to the latest issues discussed in the forums and includes new improvements. The cumulative patch can be applied to version 2.0.1 and higher. Please read the full release notes and download the update from our download section. This entry was posted in News and tagged as3 api, html5, sfs2x, win8 api, wp8 api on November 16, 2012 by SmartFoxServer Team.